If you have any questions about the WILLIAM TAI information page below please contact us. 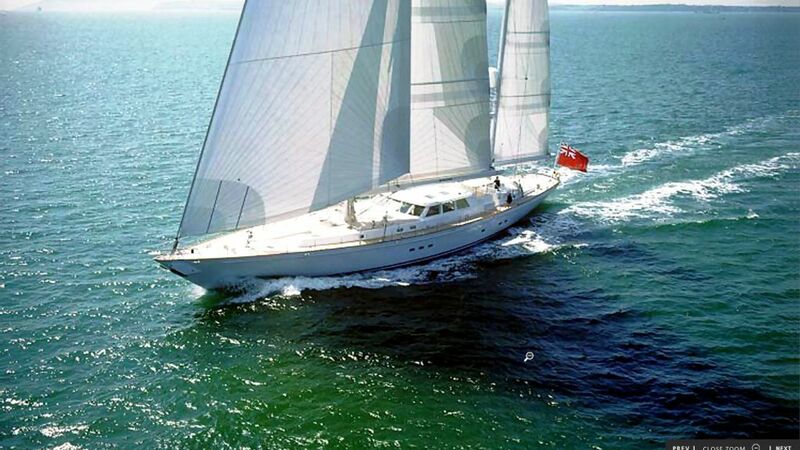 The capacious superyacht WILLIAM TAI is a sailing yacht. 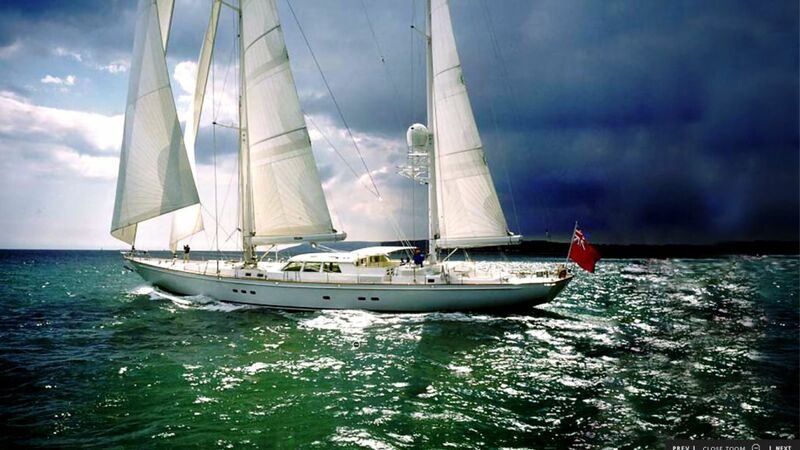 This 41 metre (134 foot) luxury yacht was created at Royal Huisman in 1997. WILLIAM TAI used to be Surama C. Superyacht WILLIAM TAI is a elegant yacht that can sleep up to 6 people on board and has approximately 5 crew members. The balanced boat has been created with the naval architecture of Ted Hood and Ted Fontaine. Andrew Winch undertook the interior design and styling. WILLIAM TAI (formerly SURAMA C) has a light and open modern styling with sweeping curves and bi level sightlines. Built in 1997, she was conceived as a world cruiser based upon the proven Hood design Anakena. The yacht's wider design collaboration came from Ted Hood and Ted Fontaine. The professional naval architect firm drawings are the products of Ted Hood. Sailing Yacht WILLIAM TAI received her elegant interior designing from the interior design office of Andrew Winch. 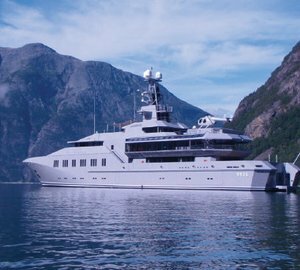 In 1997 she was actually launched with accolade in Vollenhove and following sea trials and finishing touches was thereafter delivered to the yacht owner. Royal Huisman completed their new build sailing yacht in the Netherlands. A spacious feeling is brought about with a widest beam (width) of 8.8 m or 28.9 ft. With a 6.8m (22.3ft) draught (maximum depth) she is 6.8 (22.3 ft). The material aluminium was used in the building of the hull of the sailing yacht. Her superstructure above deck is fashioned out of aluminium. This boat retains two proven MTU main engine(s) and can attain a impressive top end continuous speed at 13 knots. The main engine of the WILLIAM TAI produces 570 horse power (or 419 kilowatts). Her total HP is 1140 HP and her total Kilowatts are 839. She is driven by twin screw propellers. For bow thrusters she uses Vosper. The boat’s accomplished cruising speed is 12 knots which produces a range of 5000. 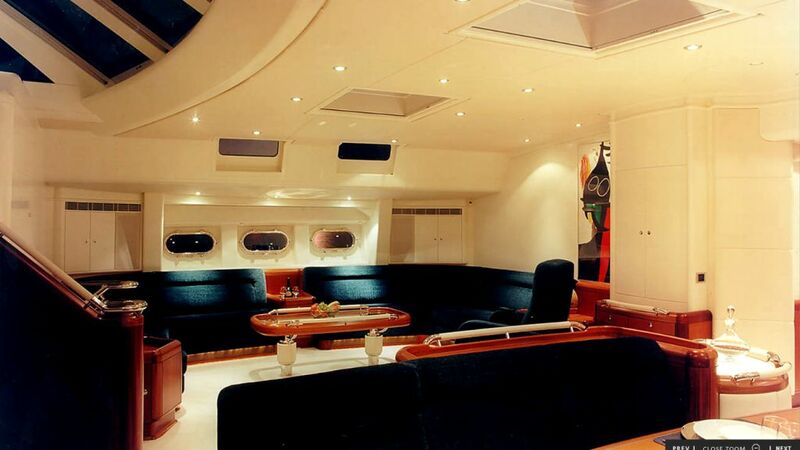 The capacious luxury yacht sailing yacht WILLIAM TAI is able to accommodate as many as 6 guests and 5 qualified crew. 40.7 metres / 133.5 feet. Giving the combined power of 1140 HP /839 KW. 5000 at a speed of 10 knots. The minimum draught is 2.9m/9.5ft. During Sept 2009 WILLIAM TAI went to Palma, in Spain. This sailing yacht also cruised the location including Illes Balears during the month of October 2009. Frigoboat is the company which installed the A/C on this vessel. This sailing yacht has a teak deck. 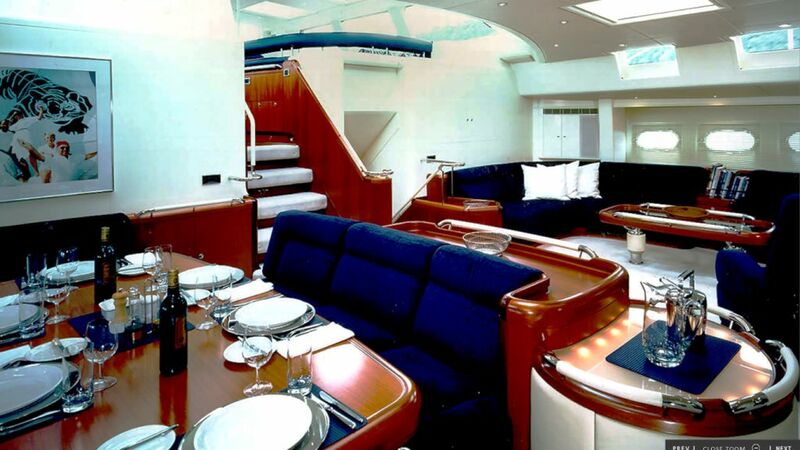 The luxury yacht WILLIAM TAI displayed on this page is merely informational and she is not necessarily available for yacht charter or for sale, nor is she represented or marketed in anyway by CharterWorld. This web page and the superyacht information contained herein is not contractual. All yacht specifications and informations are displayed in good faith but CharterWorld does not warrant or assume any legal liability or responsibility for the current accuracy, completeness, validity, or usefulness of any superyacht information and/or images displayed. All boat information is subject to change without prior notice and may not be current.